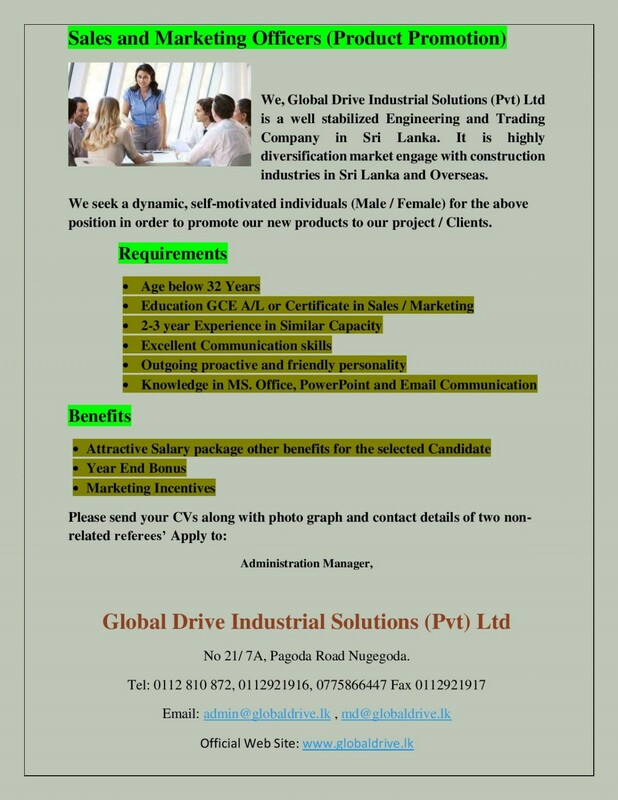 We, Global Drive Industrial Solutions (Pvt) Ltd is a well stabilized Engineering and Trading Company in Sri Lanka. It is highly diversification market engage with construction industries in Sri Lanka and Overseas. We seek a dynamic, self-motivated individuals (Male / Female) for the above position in order to promote our new products to our project / Clients.